Look. We can't really help ourselves. We talk about branding a lot. It’s what we do. You might even say, it’s who we are. It also makes sense that many of the cool brands on our mental list are specifically and uniquely North Carolina, because barely a day goes by that we don’t at least subconsciously thank our lucky stars that we live and work in a vibrant, creative place like the Triangle. Our home is also home to some pretty awesome brands — not just in the product or place they promote, but in the branding strategies themselves. That’s a branding agency’s Holy Grail: that perfect mix of a great thing and a great way of promoting that thing. So what North Carolina brands do we love? Here are just a few. Kudos to the creative minds behind them! Fullsteam Brewery | The backwards “F” is such a simple yet profound tweak, which has now become an iconic logo for their great brews. Bull City Burger & Brewery | Cool logo, hip atmosphere, delicious burgers that are only overshadowed by their duck fat fries. Asheville tourism | Asheville has done an incredible job of branding itself as a little something for everyone — natural beauty abounds, it’s a foodie paradise, it has a vibrant arts scene and a downtown full of kid- and dog-friendly businesses. We’re still in awe of a place that can seamlessly blend the luxury of the Biltmore Estate with the dreadlocks and Birkenstocks that have become Asheville de rigueur. Durham Bulls | What’s not to love about the best-known minor league baseball team in the country? Yes, the classic film Bull Durham is in large part to thank for their fame, but the Bulls do an excellent job maintaining their playful, family-friendly exuberance while still playing serious ball. We love Wool E. Bull and his antics between innings, and the vintage t-shirts and ball caps are recognizable around the world. 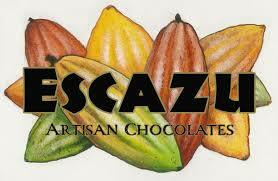 Escazu Artisan Chocolates | With a logo that hints at cacao’s Central and South American origins without being heavy handed, Escazu’s brand reasserts the traditional, artisanal process used in making their amazing chocolates. 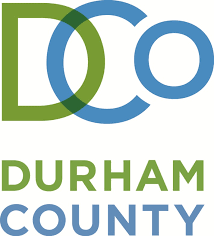 Durham County | Ok, ok, full disclosure — we happen to be intimately involved with this brand, but it still stands out as one of our favorites. We designed it and helped the county government execute it, and it remains one of our most successful rebranding projects to date. Durham is a North Carolina hot spot, getting attention from everybody-who’s-anybody, from New York to California. It deserves a bold, dynamic brand — for its signage, for its letterhead, even for its garbage trucks. Check out some of our other favorites — the clients we’ve worked with ourselves! Our portfolio is full of work we’re proud to have been a part of.